Buying W202 AMG Fancy naturally aspirated Mercedes grunt at a price which won’t break the bank? 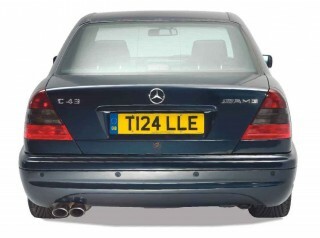 A C36 or C43 AMG can be yours for less than you might think… Words Dan Furr. Photography John Colley. Bag yourself an appreciating classic in the form of a W202 AMG. Due to their motorsport origins and exaggerated features (both in terms of power and style), Cosworth-tweaked 190Es remain regarded as some of the most desirable Mercedes sport saloons ever produced. It stands to reason the W201 190E’s successor had a lot to live up when competing for the affections of those whose blood has its own octane rating. 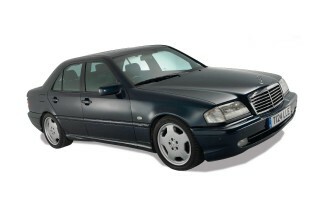 The C-Class arrived in May 1993, but it would be another two years before we saw the first W202 AMG. With its sights set squarely on eating into a chunk of the sports car sector occupied by the BMW E36 M3, the C36 AMG landed with a naturally aspirated inline-six producing nigh-on 280bhp. The car looked great, performed brilliantly and shifted plenty of units, but this is an AMG we’re talking about – displacement and cylinder count wasn’t going to stay static for long! The C43 AMG was launched for the 1998 model year. Packing a 4.3-litre V8 and well over 300bhp, the car didn’t look wildly different from the earlier C36, but the new arrival represented a major step forward in the way AMGs were assembled following the company’s assimilation into Daimler-Benz. In short, whereas the C36 was a C280 dismantled and rebuilt in AMG trim, the C43 was purpose-built on the Mercedes production line. It was also the first C-Class to be loaded with a V8 powerplant. An estate was offered to broaden the model’s appeal. Whether you’re after a C36 or C43 AMG, you’d better act fast; prices are on the rise for what are proving to be appreciating modern classics. It’s true to say the contemporary M3 still hogs the limelight, but if you’re after a good return of bang for buck, then the W202 AMGs might be exactly what you’re looking for. Here’s what you need to be aware of before inspecting your prospective purchase. Mercedes methods of production have always been well respected, but with the earliest W202 AMGs now gettling close to a quarter-century old, it’s vital you check to make sure the car you’re looking at has been properly maintained. Ask to see all documentation supporting claims of servicing, repair work and replacement parts. Ensure all fluids and filters have been changed in accordance with the manufacturer’s wishes. Ask what grade and content of oil has been used. Be wary of unexplained periods of the car being off the road. If in doubt, have a full inspection carried out by a marque specialist. Enter the W202 in question’s details into the DVLA’s online vehicle enquiry service. It’s free to use and will result in an MOT history (including all passes, fails and advisories) as far back as electronic records are stored. It’ll also provide proof of mileage at the point of each test. While your web browser is open, pop along to mycarcheck.com and invest a couple of quid in an online vehicle history check. You’ll get instant confirmation of any outstanding finance, accident history, changes of registration and the number of previous keepers. You’ll also be able to tell if the AMG you’re looking at has ever been stolen or if the car has ever had a change of colour. Consider the benefits of investing in Carly’s Connected Car app, available for a wide range of Mercedes vehicles and able to tap into the car’s multiple ECUs to check for correlation with the visible speedometer. The low-cost kit can detect whether data has been manipulated. Visit shop.mycarly.com for more information. Ideally, the W202 you’re looking at will have been maintained by reputable independent Mercedes specialists or a main dealer. If services have been skipped or non-specialist garages have been tasked with jobs, this may be a sign the car hasn’t been correctly looked after during its lifetime. 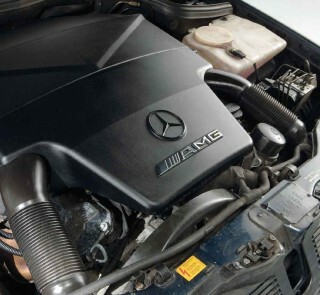 Mercedes raided the brilliant W211 E55 AMG parts bin when it came to giving the W202 AMGs powerful stopping abilities. It used to be the case discs and pads were horrendously expensive, but a number of aftermarket manufacturers have satisfied owners with reasonably priced, high-quality parts. EBC Brakes, for example, offers OEM-spec rear discs with a set of brake pads in its fast-road Yellowstuff compound for a shade over £200 including VAT. Visit bit.ly/ebcbrakes Factory rubber brake hoses deteriorate with age, resulting in a ‘spongy’ pedal feel. Braided hoses from Goodridge (bit.ly/goodridgeuk) will restore braking efficiency by refusing to flex under load. Pleasingly, thanks to a wide choice of finishes, Goodridge braided brake hoses can be colour-coded to match the look of the AMG you’re interested in buying (which is almost certainly silver!). Whereas the C36 engine is considered more problematic than that of the C43, roles are reversed when it comes to gearboxes. Early six-shooters were fitted with a four-speed automatic renowned for its durability, while late examples of the same car saw cog count increase in the form of a five-speed automatic which was modified after being lifted from the R129 500 SL. It’s a ‘box which was carried over to the C43 and is considered less reliable than the earlier unit. Transmission upgrades were applied to the last-of-line C43s in advance of the model being discontinued in 2000. Tiptronic shifting was provided, and gearbox ECU software was updated to provide smoother shifting and better overall performance encouraging a longer service life. The differentials fitted to W202 AMGs are known to be bombproof, with no major concerns to worry about in this area. 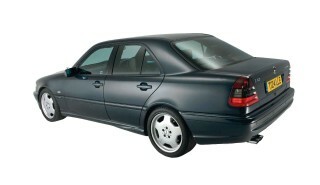 Kerbed wheels and worn tyres are a concern when it comes to any car of the W202’s age. Fortunately, help is at hand from professional wheel restoration companies, including Wheel Genie (wheelgenie.co.uk). As for the black circles, a wide range of tyres to suit all budgets and driving environments are available from Nankang, Falken, Yokohama and Toyo, but we stress this isn’t an area where you should be stingy. Tyres are the only part of your car in contact with the road. Don’t take risks by fitting poor quality rubber. Profiles for standard W202 AMG monoblocks are 225/45/17 at the front and 245/40/17 at the rear. If the tyres on what you hope will be your new car are past their best, look to see if there’s uneven wear on the inside edges. It might be difficult to spot, but this condition could be a sign of badly affected alignment. Fresh alignment and laser geometry is the recommended fix, and something we’d recommend after suspension upgrades. Consider the cost on top of new tyres before parting with your hard-earned dosh. As its designation suggests, the C36 is powered by a 3.6-litre engine. It’s a naturally aspirated six-cylinder lump producing almost 280bhp and 284lb/ft torque, but because C36 engines were hand-assembled, there’s a degree of variation between cars, with some registering closer to 290bhp when tested! Top speed is 169mph. Check the condition of oil and coolant to ensure there hasn’t been contamination of one into the other. Many W202 AMG engines have been thrashed hard, with some early examples suffering regrettable head gasket failure. The C43 is equipped with a 4.3-litre V8. It’s a modified version of the M113 found in the W210 E430 and is capable of taking much in the way of punishment, a trait put to the test by lead-footed owners keen to explore the performance potential of their new AMGs. 306bhp and 302lb/ft torque was a significant step up from the C36’s power output, and as is the case with the smaller-engined W202 AMG, a lack of forced induction means galloping ponies launch from a canter in a satisfyingly linear manner. Giddy-up! An electronic speed limiter was introduced to the C43, meaning pace is capped at the industry standard of 155mph. Providing maintenance is carried out in accordance with manufacturer instruction, and if recommended servicing intervals are observed, the car’s V8 should provide hassle-free motoring. It’s an engine with twin-plug ignition, so factor that into servicing costs. Wiring harnesses include materials prone to deterioration. Often, a completely new loom is the only solution. This can be an expensive job, so check the condition of the snakes sending information to the electronic brain of the car you’re looking at. Race-tuned suspension and a lowered ride height help the W202 AMGs to produce a purposeful stance whilst improving handling and reducing body roll. These aren’t new cars, though, so bear in mind original shocks are unlikely to be in place. Your car will only perform as well as the quality of componentry fitted to it, so don’t skimp when it comes to chassis kit. Thankfully, a wide range of parts are available for you to choose from, be it standard specification or uprated, the latter from companies including Bilstein, GAZ Shocks, KW and Eibach. Rubber bushes fail with age. Those of you looking for a true ‘fit and forget’ solution should consider polyurethane bushes from Powerflex. Available in road or race compounds, they’ll eliminate flex whilst sharpening the ability of your W202 to turn tightly into corners at speed. The kind of wear and tear associated with any older vehicle should be considered when evaluating the condition of the car’s supporting suspension equipment. Ball joints, wishbone bushes and drop links can all fail over time. Replacement parts aren’t expensive. The same is true of the steering damper, which may be past its best, but can be replaced cheaply and will transform the feel of the car for the better. Metalwork is probably going to be your primary concern when inspecting any W202. These cars were built at time when the accountants at Mercedes were paying close attention to the company’s coffers. As such, materials used weren’t as well respected as they once were, a condition evidenced by the rusty wing bottoms commonly associated with Mercedes cars of this age. Fortunately, panels easily replaced and are readily available at low cost. Check panel gaps and variations in colour. There may be a perfectly plausible explanation for differences spotted, but consider the possibility the AMG you’re looking at has suffered accident damage. It pays to be prudent, so don’t be afraid to ask questions. You might save yourself a whole heap of cash in the long run. At first glance, there’s little to tell the C36 and C43 apart from one another, but the latter was offered as a tourer. In fact, by the end of C43 AMG production, the estate was so popular it accounted for more than twenty percent of all C43 AMGs built! Check window seals and headlight rubbers for signs of moisture ingress. Delaminated windscreens are known to be a problem for cars of this age, a complaint producing a milky stain. The only fix is new glass. W202 AMGs are a comfortable place to be thanks to hard-wearing leather upholstery and well-considered switchgear design. The design approved for the faux-carbon dash, centre console, gearstick surround and door pillar trim is laughable, but that’s the only negative to report. Examine carpets, door cards, side panels, the centre console and front foot wells for signs of water ingress. There should be nothing to worry about, but it’s better to be safe than sorry. Moisture in the passenger’s front foot well might not be anything more than a blocked scuttle drain overflowing. If in doubt, have a poke. The seller should have nothing to hide, so don’t be afraid of asking difficult questions or making requests to help you better understand what you’re looking at. Oh, and make sure you press buttons. It’s the best way to make sure all electrically-controlled gadgetry works as Mercedes intended! Leather repair work has come on leaps and bounds in recent years, meaning nicks and tears previously requiring a retrim can now be restored to a high standard without attracting massive cost. Speak to the guys at Cambridgeshire-based automotive upholstery specialist, Awesome (awesome.eu.com) for help with all your interior repair, retrim or restoration requirements. 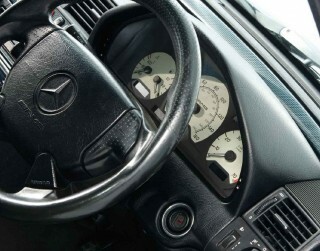 Late C43 AMGs were treated to power-tilting steering wheels. Check to make sure this functionality works. Unlike the BMW M3 they were designed to challenge, prices for used W202 AMGs dropped massively on the used car market and stayed low, partly due to owner experiences varying so wildly regarding the condition of bodywork and mechanical reliability. Additionally, horror stories of unrepairable gearboxes and rotting panels encouraged many would-be buyers to give the C36 and W46 a wide berth. Those that did take the plunge were sometimes owners who ran their cars ragged, failing to take proper car of their future classic.